Former Vice President Joe Biden took aim at President Trump in an opinion piece published in The Atlantic on Sunday, accusing Mr. Trump of emboldening white supremacists "with messages of comfort and support." "This is a moment for this nation to declare what the president can't with any clarity, consistency, or conviction: There is no place for these hate groups in America," Biden wrote. "Hatred of blacks, Jews, immigrants -- all who are seen as "the other" -- won't be accepted or tolerated or given safe harbor anywhere in this nation," he added. BIden also accused Mr. Trump of having "contempt for the U.S. Constitution and willingness to divide this nation," suggesting that Mr. Trump's Friday night pardoning of ex-sheriff Joe Arpaio is an example of that. Biden has stayed relatively quiet on political issues since leaving office, but voiced his views on the violence in Charlottesville, Virginia in his new opinion piece, saying, "we are living through a battle for the soul of this nation" in the wake of the clashes. "The giant forward steps we have taken in recent years on civil liberties and civil rights and human rights are being met by a ferocious pushback from the oldest and darkest forces in America," wrote Biden. "Are we really surprised they rose up?" he wrote. "Are we really surprised they lashed back? Did we really think they would be extinguished with a whimper rather than a fight?" While much of Biden's piece focused on the rise and reappearance of hate groups, he commended those who spoke out in the wake of the clashes. "The greatness of America is that -- not always at first, and sometimes at enormous pain and cost -- we have always met Lincoln's challenge to embrace the "better angels of our nature," he wrote. "Those with the courage to oppose hate far outnumber those who promote it," he added. 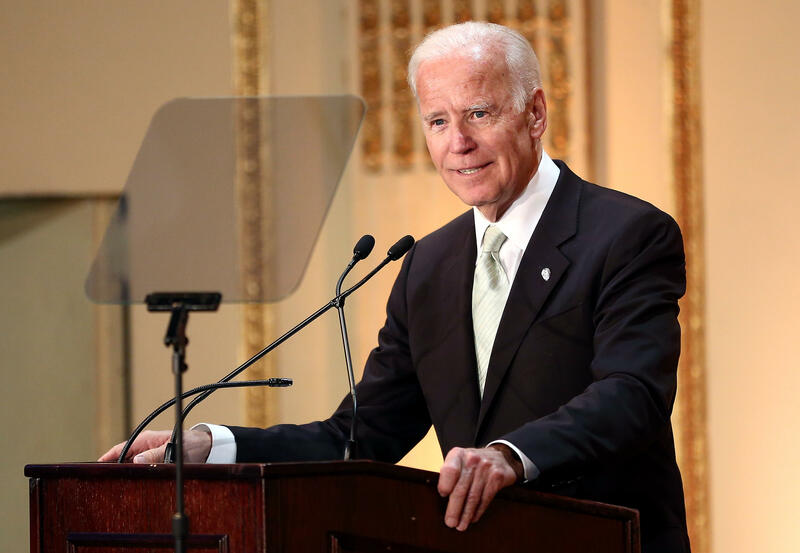 Biden urged the American public to do what Biden claims, "our president has not": "uphold America's values" and "defend our constitution." "Joined together, we will win this battle for our soul," he wrote. "Because if there's one thing I know about the American people, it's this: When it has mattered most, they have never let this nation down." The White House did not immediately respond to CBS News' request for comment to Biden's piece.